Dr. Crumbliss oversees The Lighthouse’s world-class vision clinic and practices vision rehabilitation in our Main and Northshore clinics. 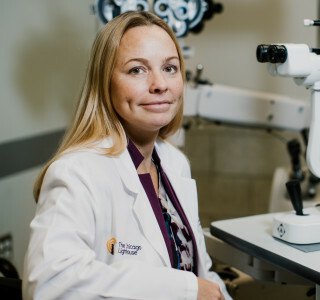 She also works as the coordinator of the Illinois College of Optometry’s Low Vision and Geriatric Ocular Disease Residency and as an associate clinical professor in primary care services at the Illinois Eye Institute. Her research and lecture interests include the association of low vision with Charles Bonnet syndrome, cognitive impairment and Alzheimer’s disease. 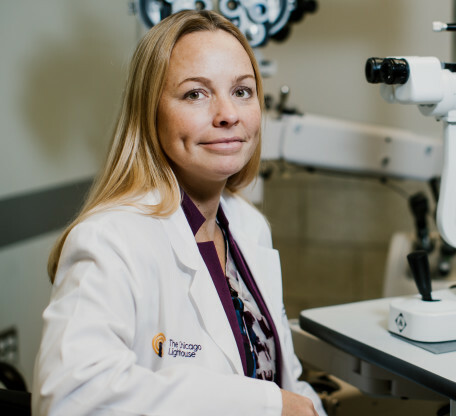 Dr. Crumbliss earned a Doctor of Optometry degree from the Illinois College of Optometry and completed residency in Low Vision and Ocular Disease at the Illinois College of Optometry and the Deicke Center for Visual Rehabilitation. She is a fellow of the American Academy of Optometry and a member of the Association of Schools and Colleges of Optometry’s Low Vision Educators special interest group. She is also an executive board member of the Illinois Society for the Prevention of Blindness.